On the road to WrestleMania, the path to greatness travels through many roadblocks. Watch as The Rock, John Cena, CM Punk, Ryback, Sheamus and all your favorite WWE superstars confront the obstacles at WWE “Elimination Chamber,” Sunday, Feb. 17, at 7 p.m. CT, live on pay-per-view (PPV) from Suddenlink. The three-hour event is available only to residential, non-commercial customers, at a price of $44.99 ($54.99 in high-definition format where available), which excludes taxes, fees, and equipment charges. The event requires a digital set-top box (receiver) and is only available in areas where Suddenlink offers PPV. Other restrictions may apply. Residential orders can be placed using a digital remote or by calling 877-694-9474 for more information. 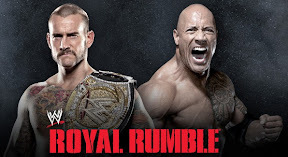 The first-ever meeting between CM Punk and The Rock will highlight WWE’s “Royal Rumble,” which is available live on pay-per-view (PPV) from Suddenlink at 7 p.m. CT Sunday, Jan. 27. The three-hour event also will feature world heavyweight champion Alberto Del Rio vs. Big Show, a 30-man royal rumble match, and tag team champions Team Hell No vs. Team Rhodes. This event is available only to residential, non-commercial customers, at a price of $44.99 ($54.99 in high-definition format where available), which excludes taxes, fees, and equipment charges. The event requires a digital set-top box (receiver) and is only available in areas where Suddenlink offers PPV. Other restrictions may apply. Residential orders can be placed using a digital remote or by calling 877-694-9474 for more information. A Rolling Stones concert and WWE wrestling event are available this weekend live on pay-per-view (PPV) from Suddenlink. On Saturday at 8 p.m. CT, fans can see The Rolling Stones live in concert from Newark, N.J. Called “One More Shot,” it will be the legendary rock n’ roll band’s final performance in its 50th anniversary celebration tour. Bruce Springsteen, Lady Gaga and The Black Keys also perform. The show is available for $39.99 ($44.99 in high-definition format where available). On Sunday at 7 p.m. CT, WWE presents its final live event of the year, Tables, Ladders & Chairs, at the Barclays Center in Brooklyn, N.Y. Among the featured matches are Big Show vs. Sheamus, Kofi Kingston vs. Wade Barrett, Dolph Ziggler vs. John Cena and Team Hell No (Daniel Bryan and Kane) and Ryback vs. The Shield (Seth Rollins, Dean Ambrose and Roman Reigns). The cost is $44.99 ($54.99 in high-definition format where available). These events are available only to residential, non-commercial customers. Prices exclude taxes, fees, and equipment charges. The events require a digital set-top box (receiver) and are available only in areas where Suddenlink offers PPV. Other restrictions may apply. Residential orders can be placed using a digital remote or by calling 877-694-9474 for more information. Will John Cena teach WWE champion CM Punk what respect is all about? Can Sheamus retain the world heavyweight championship against Alberto Del Rio? Those questions and more will be answered at the fifth annual WWE: Night of Champions, Sunday, Sept. 16, live from Boston at 6:30 p.m. CT on Suddenlink pay-per-view (PPV). Other popular WWE superstars will participate, with every title on the line. A blockbuster match between heavyweights Brock Lesnar and Triple H highlights the 25th annual SummerSlam, which is available Sunday on pay-per-view (PPV) from Suddenlink. Other scheduled matches include: WWE Champion CM Punk vs. John Cena vs. Big Show; Chris Jericho vs. Dolph Ziggler; Kane vs. Daniel Bryan, Intercontinental Champion The Miz vs. Rey Mysterio: WWE Tag Team Champions Kofi Kingston and R-Truth vs. The Prime Time Players: and U.S. Champion Santino Marella vs. Antonio Cesaro. WWE presents its June extravaganza, “No Way Out,” which is available Sunday on pay-per-view (PPV) from Suddenlink. The show will be headlined by a steel cage match between John Cena and The Big Show. Other matches include CM Punk vs. Daniel Bryan vs. Kane in a Triple Threat Match for the WWE Championship, and Sheamus vs. Dolph Ziggler for a world heavyweight championship. 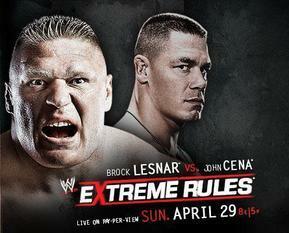 Brock Lesnar returns to the WWE ring to face John Cena at WWE Extreme Rules, Sunday, April 29, live from Chicago on Pay-Per-View (PPV) from Suddenlink. This will mark the first WWE match in eight years for Lesnar, who left to become a champion in mixed martial arts. Other fights include CM Punk vs. Chris Jericho, Daniel Bryan vs. Sheamus, Randy Orton vs. Kane, Big Show vs. Cody Rhodes, and Santino Marella vs. The Miz. Please note that Suddenlink video-on-demand (VOD) and pay-per-view (PPV) are distinct services. Where VOD service is available, Suddenlink customers with digital receivers can find the VOD menu by tuning to Channel 1. In contrast, where PPV service is available, customers should be able to locate the PPV menu through their digital receiver’s interactive channel guide. Alternatively, if customers have trouble locating the PPV menu through the channel guide, they should be available to find it on one of the following channels, depending on where they receive service: 301, 500, 501, 621, 801, 811, 821 or 871.